As Amazon became one of the most important shopping hubs, reuniting millions of products and connecting sellers and buyers worldwide in a quick and safe manner, it was only natural to develop its own delivery service as well. 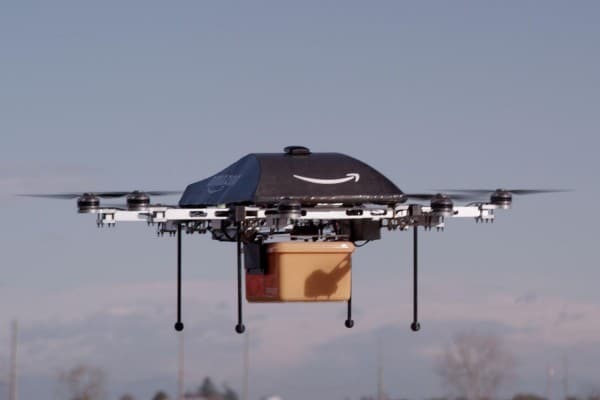 The Amazon delivery service currently functions in multiple modes, according to the level of emergency and how much an interested party is willing to pay for it. Sometimes, the ordering client pays for the Amazon delivery fees, and other times the seller covers it, especially on items eligible for special offers etc. Whatever you’re trying to buy, even if it’s something as small as a piece of jewelry or as large as a piece of furniture, Amazon’s delivery system has come to be a trustworthy and widely used service for all Amazon shopping transactions. Usually, the Amazon delivery service functions in two main modes: Regular and Express. The Express delivery mode is obviously created to deliver the packages faster, but usually for a higher fee. Also, beyond these two main modes of functioning for the Amazon delivery service, there is also the Amazon Prime memberships that has its own perks for the delivery service. Amazon Prime is known by many to be an exclusive membership club of Amazon users, tempting first and foremost for the free access to movies and music granted upon its members. The Amazon Prime membership is paid and renewed on a yearly basis, and it also comes with a 30-day free trial for first-time users. Along with the access to movies to be watched and free music to download and listen to, Amazon Prime also comes with an online photo and data storage options (with a generous storage space available), as well as a number of exclusive items available for special pricing. When browsing products on Amazon, you will notice the Amazon Prime logo next to a few of them. This marks the item as specially priced for Amazon Prime members, or as eligible for special Amazon delivery service in the Express mode, for Amazon Prime only. Free Same-Day delivery for eligible orders over $35. Same-Day delivery for $5.99, for non-eligible items or orders under $35. For comparison, the cost of same-day delivery for non-Prime members is $8.99 + a further $0.99 per item. There is also Amazon delivery service specially designed for local orders, meant to function rapidly on small distances and for smaller rates, which was launched in October 2009. Indeed, there was no need for customers to pay the full rate of an express delivery for a distance much shorter than others. It’s currently available for several metro areas, and the customer must place the order before 10.00 AM (or by 1 P.M. in some cases), with the order bound to arrive by 8 P.M the same day. For local express delivery Amazon has marked a few of its products as eligible, in a similar way as for its Prime program. The two programs can even be combined, Amazon Prime customers paying less for the Amazon local express delivery service. As far as reviews go, customers have mostly been satisfied with all types of Amazon delivery service and we can’t report any issue that you should be wary of. To get started with using these shipping services, our recommendation would be to get yourself a Prime account, especially if you can estimate that you’ll be ordering things from Amazon quite often. Then, simply browse around and keep an eye out for products marked as eligible for a special shipping, either Prime or local express, and take advantage of what the site offers. Enjoy your shopping! Hey Buddy!, I found this information for you: "Amazon Delivery Service: What You Need to Know as a Client". Here is the website link: https://all2door.com/amazon-delivery-service/. Thank you.